How do you drink your beer? From a beer mug? Straight from the can? Or do you drink it cold, taking a swig right off the bottle? Ever pictured yourself taking a drink from a square bottle? Well, if it were up to Heineken and Petit Romain, you would be doing that sometime in the future. The French industrial designer has just revealed his concept of a Heineken bottle. 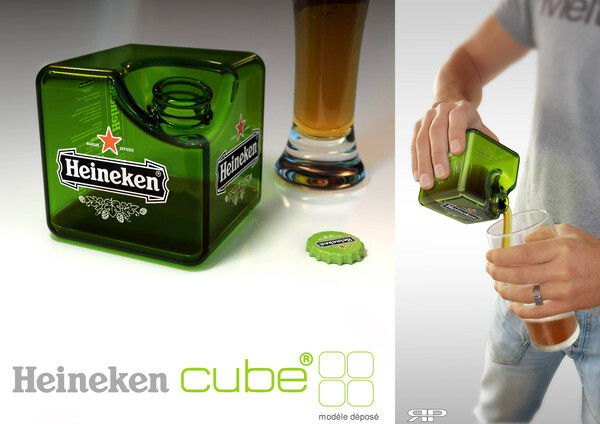 Foregoing the usual round bottles with long and narrow necks, this one has a square shape and is aptly named “Heineken Cube”. This isn’t the first time that this concept of a square bottle was introduced, though. In 1963, Alfred Heineken had Dutch architect John Habraken design his vision of what he then called the “Heineken WOBO”. It was Heineken’s proposed solution to the existing shortage of housing and building materials: making use of bottles instead of bricks. A beer bottle with a rectangular shape, the WOBO – short for “World Bottle” – was then dubbed as the “glass brick that holds beer”. Unfortunately, it was not an idea deemed to hold much water (or beer, depending on how you look at it) and it was never full utilized by the beer company. 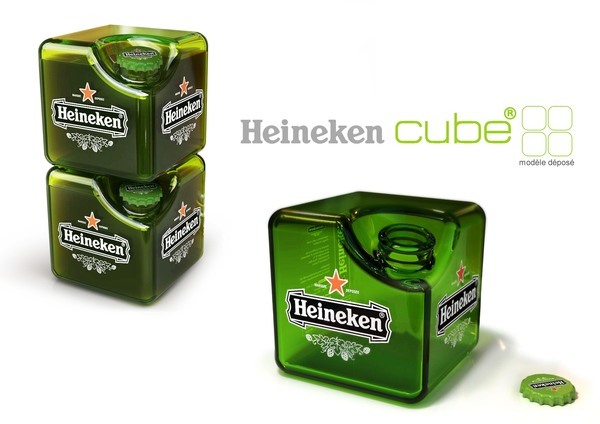 After various attempts to resurrect the idea over the years, here comes the Heineken Cube, a square bottle design that is seemingly reminiscent of the WOBO. However, unlike Alfred Heineken, Romain’s motivation had nothing to do with looking for cheaper building materials or recycling. As a manufacturer and distributor of beers have constantly experienced, stacking round bottles in six-packs is not as ideal as it appears to be. Transporting them can be quite a pain as the glasses clink together and, if the handlers are not too careful, you’d end up with broken beer bottles and beer brews gone to waste. They have to spend more for special supplies to facilitate stacking and packing these round bottles. Space efficiency is simply one of the many advantages of this new concept bottle. Think of all the cost savings it would grant manufacturers, distributors and retailers. In the long run, this benefit will trickle to the consumers and wouldn’t you enjoy your beer even more because of that? Pour it, enjoy it. Heineken straight from the Cube. 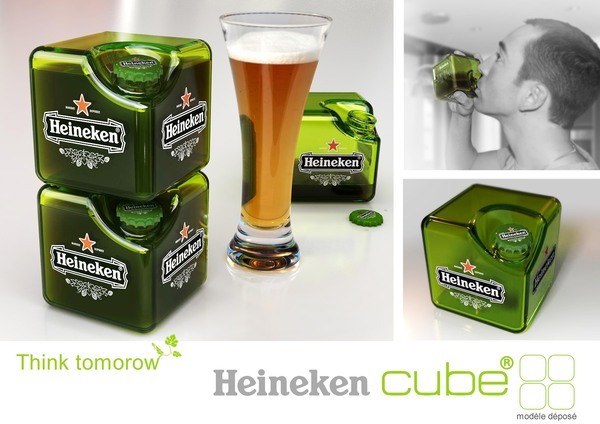 What do you think of the Heineken Cube? Do you reckon you’d be taking a drink from it anytime soon?